After experiencing four “Beginner’s Yoga” video sessions this week, I personally deemed only two of them to actually be at a beginner’s level. Why is that? Not only should beginners be careful when practicing yoga, but one with a health condition should be extremely mindful and gentle. One should not push themselves to keep up with people that are near perfect health. Talking with a couple of people in a Fibromyalgia group this week I realized that people may see “Beginner” and think, “I’m a beginner, that practice must be for me!” Well I am not a beginner, and I practiced to a “beginner” practice this week that I felt should not have had beginner in the title whatsoever! So what’s a beginner to do? Many beginners turn to the internet before going to a class. There are pros and cons to this. I know, because that’s the path that I took. Luckily, there are finally videos that cater to the “beginner-beginner”, it’s just about finding the right one for you! I will not be sharing the other two videos that have “beginner” in the title and here is why. Many times these videos are deemed “beginner” because they are technically beginner poses. That’s it. However, the flow of the class may not be set for the pace of a beginner! Also, there may not be enough explanation of the foundation for each pose. Even yet, there may not be suitable modifications. Especially for someone with a medical condition, like myself, with Ehlers-Danlos Syndrome and Fibromyalgia, I should be searching for “gentle beginner” practices to be specific. Realizing the first two practices I tried this week were duds, I was more than happy to rediscover Adriene’s gentle and soft paced videos. I’ve recommended her Morning Yoga sequence (here) as a gentle beginner practice on numerous occasions. Discovering her freshly posted video, Yoga For the Winter Blues, seemed more than appropriate as I’ve been doing all I can to continue to live positively during these last grey months. Clicking around further, I discovered her Yoga For Complete Beginners – 20 Minute Home Yoga Workout! 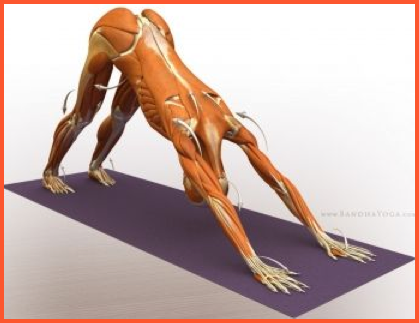 Visit her blog for her Foundations of Yoga: videos breaking down each posture. Click —> Page 2 & Page 3 for explanations of just about every beginner’s pose! Only do what feels comfortable to you. This will become a learning experience where you find acceptance with your limitations all while opening from within. -If you suffer from a hypermobility disorder, it may be very important for you to practice the idea of engaging your muscles. This does not mean to stiffen yourself like the Tin Man. You can find the balance of being engaged, yet soft. For any pose that requires my arms over my head (including extended child’s pose), I always engage the muscles around my shoulder blades. For an amazing online book check it out “here.” Start at page 21 to learn about engaging the muscles with Muscular Energy and Organic Energy. -Yoga is beautiful because it is not a competitive sport. You can act, always remaining true to yourself and your needs. I’ve been practicing for quite some time, but I modify my poses just about every time I practice. When I first began yoga, I thought I had to keep up with the pro on the DVD! I quickly learned that this is my path, so let me cut my way. Clear your path to meet your needs! -In any tabletop position, especially Cat/Cow, feel free to position your hands into a “knuckle push up position” to relieve any wrist pain. Having your hands “splayed out” may not provide enough support for your wrists. It looks painful, but you will be surprised! 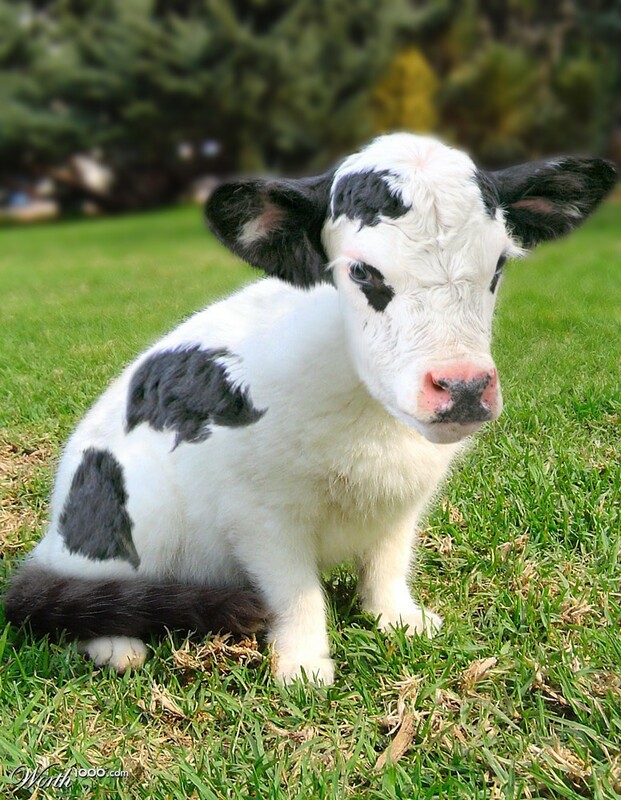 I do most of my cat cows on my knuckles! 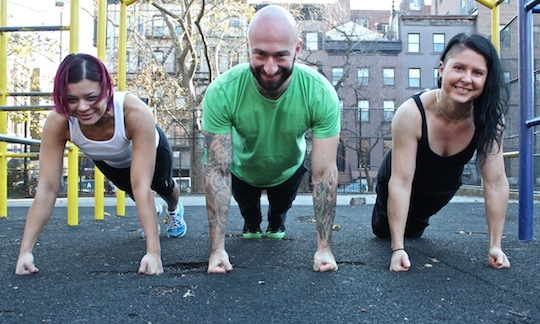 – For a Plank modification, there ain’t no shame in doing Half Plank (knees down)! 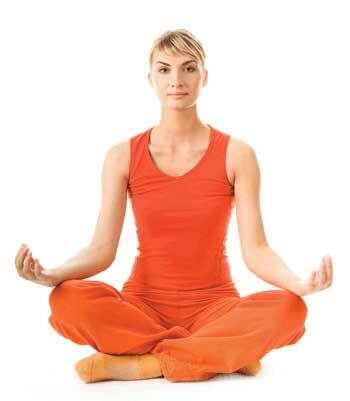 Try this pose by sitting on a folded blanket. Your hips should be above your knees. Also, you may want to switch your position, starting with your right leg in front and putting your left leg in front once needed. You can always just sit it in staff pose, too! -For beginner’s: Don’t worry so much about straightening your legs. The same goes for having your heels touch the floor. 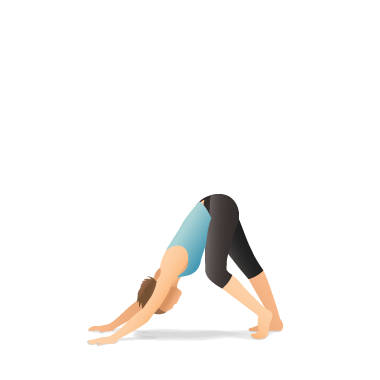 The idea here is to lift through your front body and to send your tailbone and hips back. Over time you will be able to perfect your leggies! Here’s a biggie. For me, I found that this pose is all in the hands. I suffer from some serious wrist pain. I used to avoid this pose like the plague until I began building a proper foundation with my hands. Your middle fingers should be facing forwards. 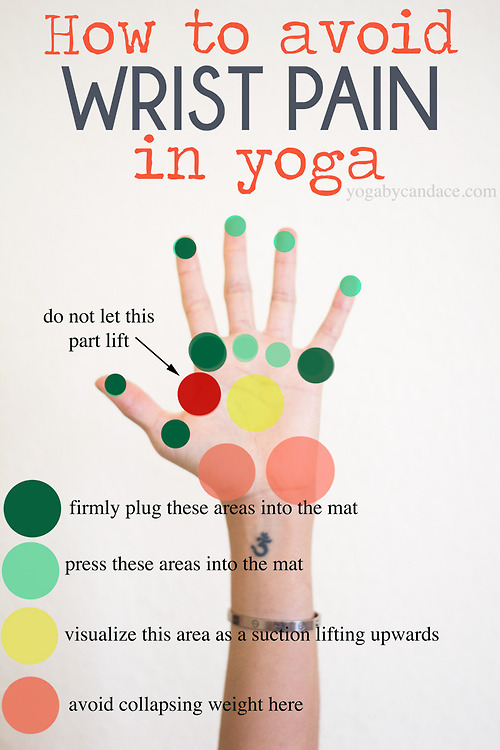 Make sure you are pressing each knuckle firmly into the mat, especially the pad between your thumb and pointer finger!!! My yoga instructor explained that I could set up my hands by putting my finger tips down first and then drop all my fingers down firmly into the mat, and then knuckles. From this firm foundation you can then “lift through the wrists” rather than rely on your wrists to bear the weight. From that lift, firm your outer arms. Engage and widen your shoulder blades. 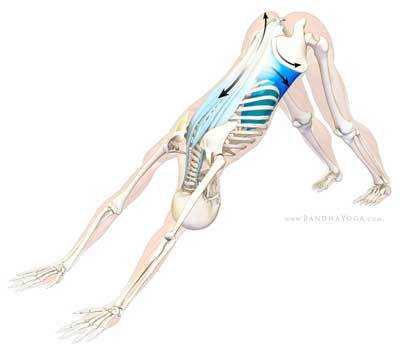 Pull your tailbone back, your hips back. Keep your head hanging in line with your arms. If it’s the beginning of your practice, “walk” each leg out, meaning, drop one heal while bending the knee of the other leg and vice versa. You’re walkin the dog! Another great tidbit my instructor gave me was to enforce the attention on my tailbone. She made a physical adjustment by forcing a push where my tailbone needed to extend back even more. This adjustment has been a gem, taking even more pressure off of my wrists. If you need to practice Downward-Facing Dog gently before attempting the real thing, pull up a chair or find a wall! 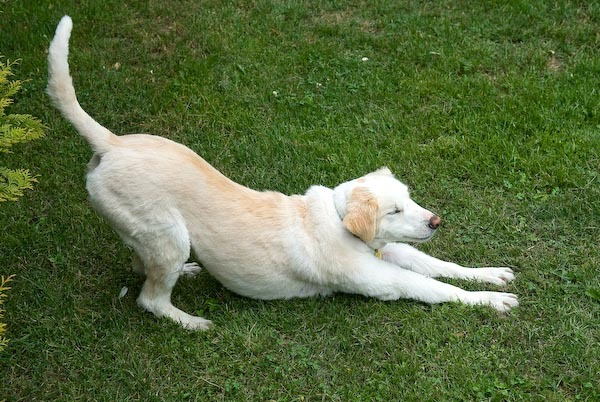 You can modify Downward-Facing Dog even further! If a practice calls for one too many DDs, I often shift into either Extended Child’s Pose or Extended Puppy Pose to refrain from injuring myself. In conclusion, there are endless benefits of practicing yoga. For me, I wake up and practice yoga first thing every morning. Being active in a gentle way is extremely important for someone with the chronic illnesses Ehlers-Danlos Syndrome and Fibromyalgia. It’s important to recognize what style and pace is suitable for you. Even though the practice may be 90% perfect for you, you may need to easily modify for the other 10%. If you would like more gentle videos that I have found, find me on one of the following pages! Namaste, and good luck on clearing the way to your path!